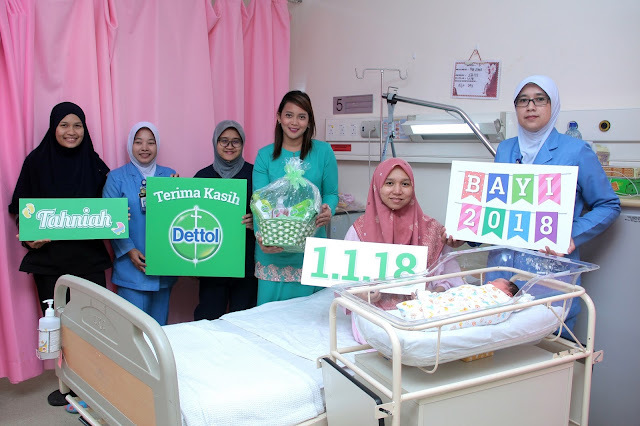 Dettol announced today that it targets to reach out to 100,000 Malaysian new mothers this year under its New Mums Programme to educate them about the importance of practicing good hygiene habits when caring for their new babies. With the target to educate more new mothers under its programme this year, Dettol kick-started year 2018 on a positive note by visiting mothers and babies born on 1st January at several hospitals and presenting them with Dettol product hampers. This year will see Dettol aiming to reach 100 hospitals, providing necessary education and product samples to promote the importance of germ free home. 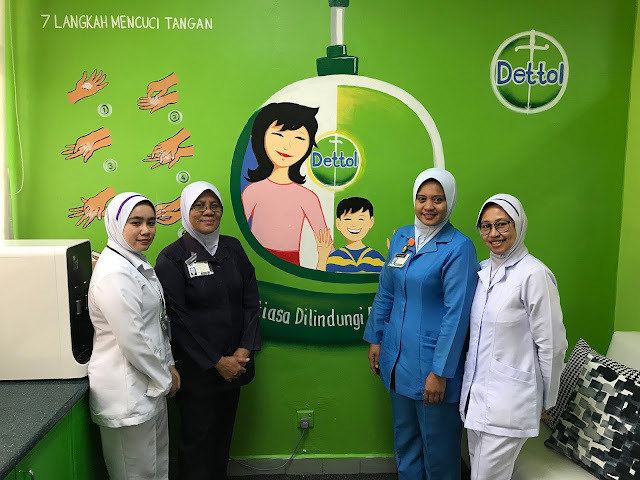 Dettol also gave the nursing room at Klinik Kesihatan Ibu dan Anak (KKIA) Kelana Jaya a brand-new makeover, providing a safe, clean space for mothers and their little bundles of joy. The nursing room is equipped with Dettol products to promote good hygiene, and informative posters to impart valuable information to mothers. Dettol also plans to make over four more nursing rooms at selected KKIA clinics in Malaysia. Kim Minyoung, Marketing Manager of Dettol Malaysia and Singapore explained how the programme can help make a difference when practising good hygiene habits. “All mums want the best for their children. But especially for a new mum with a new born, the feeling will be even stronger as they start to see the world differently. One of the key differences a new mum will experience is their hygienic consciousness. They understand that things cannot be as simple as just being clean, but they don’t know what exactly needs to be done to keep their babies hygienically protected, which makes them sometimes feel paranoid or maybe overly cautious out of worries. As a partner of mums around the world, Dettol takes the responsibility to engage with mums to help them build healthy hygienic habits and give them more confidence,” she said. She continued: “Mums constantly touch the babies out of love, but we should all be mindful that hands are one of the primary causes of germ spread. This is why Dettol, as a trusted germ protection brand, we have been emphasizing the importance of proper handwashing to break these chains of germ spread. Though simple it may sound, washing hands properly with the right product and with right manners cannot be underrated. Nothing to be difficult – it is actually a simple yet powerful everyday hygienic habits that will do much more than we think”. Through the New Mums Programme, Dettol has been actively reaching out to mothers who have just delivered their newborns at both private and public hospitals, allowing them to learn about the significance of baby care and hygiene, ranging from handling their baby and bringing them home, to nappy changing, teething, feeding and encouraging infants to explore their surroundings. “Over the past seven years, Dettol has educated more than 1.2 million mothers in Malaysia via the New Mums Programme. We hope with our continued efforts, we are able to reach even more new mothers from 2018 onwards, and at the same time, work together with healthcare professionals and hospitals to create a cleaner and germ-free environment for our future generations to grow up in,” said Kim. Dettol provides a wide range of products from personal care to household solutions that work effectively to kill harmful germs. To this day, the brand continues to innovate in providing anti-bacterial skin protection for families around the world and here in Malaysia. For more information about Dettol, go to www.dettol.com.my.